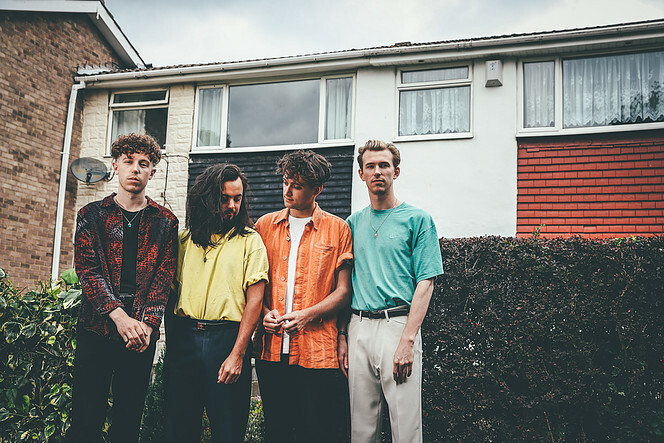 Marsicans guitarist, Oliver Jameson, talks to us about their self-made video for new single ‘Suburbs’, that was shot entirely on smartphone in New York. What made you decide to film the music video on a mobile phone? It was a bit of a last minute decision actually! We didn't start planning the video until we got to the airport and ideas were flying around over a pint or two until we almost missed our flight to Toronto. Discussions were put on hold as we made a run for the gate. We cut it very fine. I think the initial plan was to hire a decent camera for a few days but by the time we had sorted all our gear hire out for shows, we knew we weren't going to have time and we were missing out on content. James had just bought a new phone with 4k video recording or something crazy, so we filmed a quick test at our apartment one morning and watched it back on a laptop. The quality was really decent and we started filming that same day. Why did you film the vide in New York? Our manager has family that live in Ithaca, upstate New York, which was driving distance from Toronto where we were playing a couple of shows. We knew that the setting would be the perfect contrast to a busy, high rise city like Toronto. For most of us, it was our first time in the US and we spent most of our time pointing at fire hydrants, wooden clad houses and pickup trucks. It was a more perfect snapshot of suburban living than any of us hoped for, I think. How does the video link in with the meaning of the song? The video follows a theme of being at odds with your surroundings, whether in a busy city or a leafy neighbourhood. We were quite lucky in that a lot of the things we filmed happened by chance, like Rob in a red jacket walking through a crowd of people dressed in black. In most of the shots, we're walking pretty much aimlessly and with less urgency than your average city dweller, as if we're lost or have no one place to belong. It's that kind of melancholy that 'Suburbs' is about. We see some Peanut Butter M&Ms in the video. Did you try any high sugar level candy while you were out there? Yes, I think it's safe to say most of our days revolved around where our next coffee and high sugar kick was coming from. Or at least mine did anyway. I got quite into a chocolate bar called 'Wunderbar'. I had two and the second one gave me such terrible indigestion that I don't think I can ever have one again. Basically, they are the forbidden fruit and I think myself lucky that I can't buy them here in the UK. How does the American diner differ from the English cafe? Free coffee refills! It's a challenge to get through half a cup without it being topped up. The staff are so on it. Lots of chrome and red leather too which is very cool. There's also a different set of terms you have to get grips with when ordering eggs. I think I asked for 'sunny side up' because it sounds uplifting and optimistic, but unfortunately the breakfast itself was so huge that I felt like I'd let myself down for leaving half a pancake. I've got some unfinished business with The State Diner, Ithaca, let's put it that way.